TEXNIKA-INOX was founded by Dimos Vasivaglis in 1981 and it has been constructing machinery and equipment for the food industry ever since. Today it is one of the leading construction companies in Greece, in the area of high technology equipment for the processing of meat and its products. Our clientele includes both top food industries and smaller enterprises which opt for the wide range of products and equipment we manufacture. 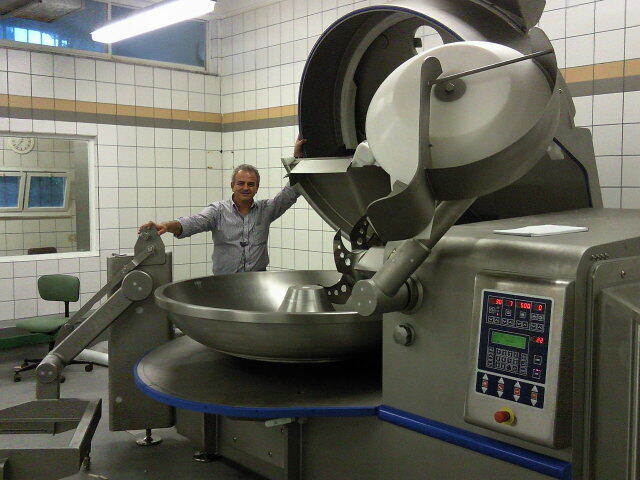 These cater for their needs in the production areas and the processing of foodstuff. The trust our clients have placed in the quality of TEXNIKA-INOX has set the basis for our continuous development. On our premises we adhere to the strictest of construction specifications, paying special attention to the perfection of our equipment, using modern technology (laser cut, CNC) which renders us one of the greatest constructors in the field. Due to our long experience, accurate research and incessant effort we turn out products which are particularly functional, durable, as well as aesthetically pleasing, ergonomically designed and very competitive in both quality and price. To meet the ever increasing needs of our clientele, TEXNIKA-INOX also represents top construction firms, and through the imports of equipment from technologically advanced countries, it provides comprehensive, guaranteed and reliable solutions to the areas of production in the meat and food industry in general. Our well-trained staff in the sectors of administration, construction and R&D combined with our know-how and experience in construction, produce distinctive products which satisfy all requirements and meet the needs and continuous development of the food industry. Our company can guarantee the proper installation and trouble-free function of the equipment we construct, due to our reliability and ethical philosophy combined with the constant upgrading of our methods.